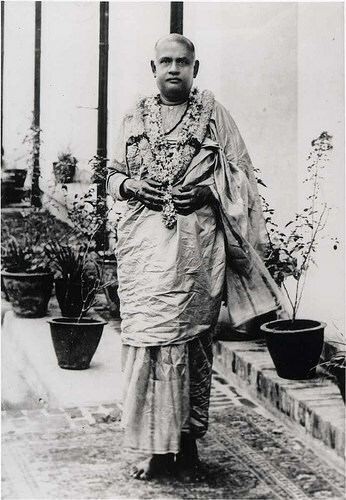 Rakhal Chandra Ghosh, was one of the direct disciples of Ramakrishna and the first president of the Ramakrishna Math and Ramakrishna Mission. He was born in Sikra Kulingram near Basirhat, Kolkata. 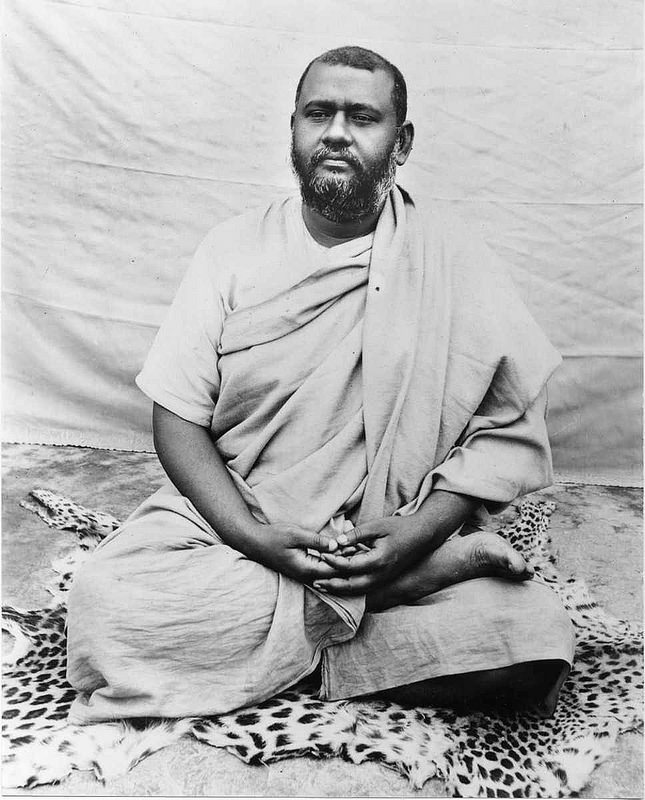 Ramakrishna recognised him as his ‘spiritual son’. He became the first president of the mission. Known as “Raja Maharaj” (chief administrator), he was largely responsible for the initial development of the mission. After Rakhal had finished the primary education, he was sent to Calcutta in 1875 and admitted into an English High School. In Calcutta he came in contact with Narendra Nath, afterwards known as Vivekananda, who was then leader of the boys of the locality. Narendra, with his dynamic spirit and born leadership, cast his influence over others and carried them along the path he thought right. Rakhal, meek, quiet and soft-natured as he was, easily came under his spell, and there grew a close friendship between the two which culminated in a common discipleship at Dakshineswar and bore far-reaching results. Rakhal’s indifference to studies and worldly things made his father to get him married. Such, however, was the irony of fate that his marriage itself brought Rakhal in contact with Ramakrishna who at once recognised in him his ‘spiritual Son’ as per the vision vouchsafed to him by the Divine Mother. Rakhal left his wife and only son to embark on his spiritual sojourn. 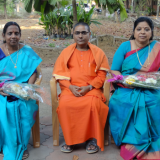 Thus started a course of spiritual intimacy and intensive training under the loving care of the guru, which resulted in several exalted mystic moods and spiritual experiences.